Have you gone walking around recently and noticed someone carrying a frothy cup of blue-green something? Maybe you wondered what in the world it was, but were in too much of a rush to stop and ask. It was probably spirulina, a popular and super nutritious superfood that’s now making its way into beverages. If you haven’t heard much about spirulina, it’s a blue-green algae that’s found in both fresh and salty water. This algae is actually a type of bacteria (cyanobacterium), and it’s a beneficial bacteria, indeed. In fact, spirulina is often referred to as the most nutrient-dense food on the planet. 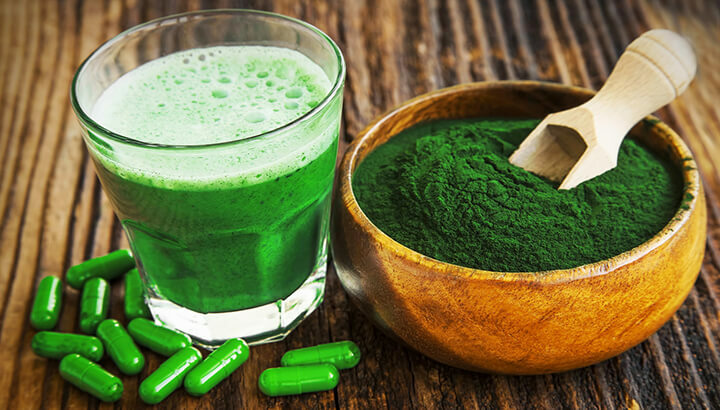 “Spirulina has several pharmacological activities such as antimicrobial (including antiviral and antibacterial), anticancer, metalloprotective (prevention of heavy-metal poisoning against Cd, Pb, Fe, Hg), as well as immunostimulant and antioxidant effects due to its rich content of protein, polysaccharide, lipid, essential amino and fatty acids, dietary minerals and vitamins.” Sounds awesome, right? Spirulina comes in powder or tablet form. These antioxidants can help to lower inflammation throughout your body. Chronic inflammation, left unchecked, may lead to a host of illnesses, including heart disease, cancer and autoimmune disorders, to name just a few. The main antioxidant compound in spirulina is known as phycocyanin. This antioxidant gives spirulina its strange, vibrant color. In fact, it contains all of the essential amino acids that your body needs. While it shouldn’t be your only source of protein (gram for gram you need more than spirulina can offer), it’s a great way to make your beverage more filling. It can also help to give you energy. These include vitamin A, B-vitamins, vitamin C, vitamin E, calcium, copper, magnesium, manganese and potassium. Spirulina is a great choice for vegetarians and vegans because the amount of iron in this algae is high. It can help you meet your daily needs of this important mineral. These are wonderful for the health of both your heart and your brain. Omega-3 fatty acids are also anti-inflammatory in nature. 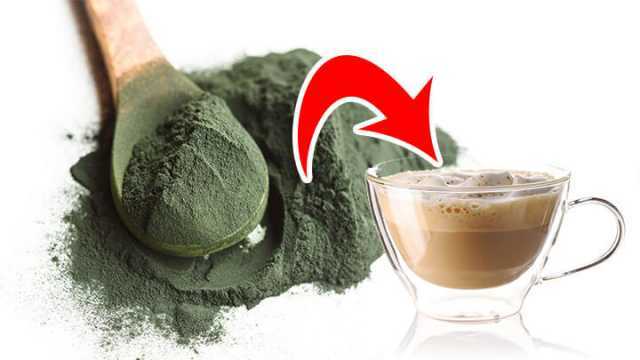 Most Americans don’t get enough of them, so their presence in spirulina is a huge bonus! Spirulina contains anti-inflammatory gamma-linolenic acid (GLA), further boosting its inflammation-fighting capacity. 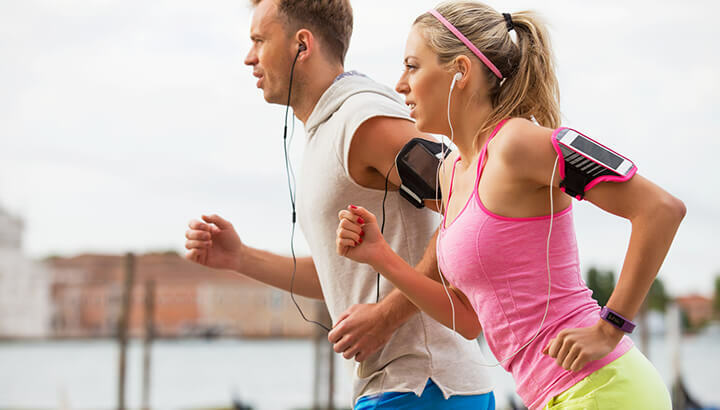 Spirulina can help with your workouts. It may help to boost both endurance and muscle strength, allowing you to get the most from your exercise session. The chlorophyll found in spirulina may help to detoxify heavy metals, such as arsenic, from your blood. Some research has found that taking spirulina on a daily basis can help to alleviate seasonal allergy symptoms. Great news for people who cough, sneeze and deal with watery eyes all spring or summer long! 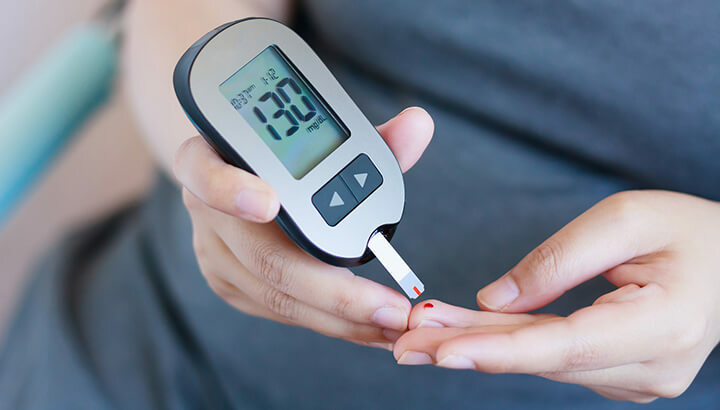 Spirulina can help to lower your blood sugar levels. Spirulina may help to lower LDL cholesterol levels, that’s the “bad” type of cholesterol you don’t want in excess. Too much bad cholesterol can lead to clogged arteries, increasing your risk of heart disease. No, thank you! Those are some pretty amazing benefits from an unassuming blue-green algae! Be sure to choose organic spirulina. Spirulina that is not organic may have additives such as nitrates, and you don’t want those in your latte. While spirulina is rich in nutrients, it does not contain vitamin B12 in a form that is effective in humans. So, if you are vegan, keep in mind that you will still need to supplement your B12 even if you are taking spirulina. Do not take spirulina if you have PKU. Ask your doctor before you start this supplement if you have a medical condition, especially an autoimmune condition, take medication (especially a blood thinner), or are pregnant or nursing. What’s your favorite way to enjoy the benefits of spirulina? Let us know! Hey Buddy!, I found this information for you: "12 Reasons To Add This Superfood To Your Latte". Here is the website link: https://www.thealternativedaily.com/reasons-to-add-spirulina-to-your-coffee/. Thank you.